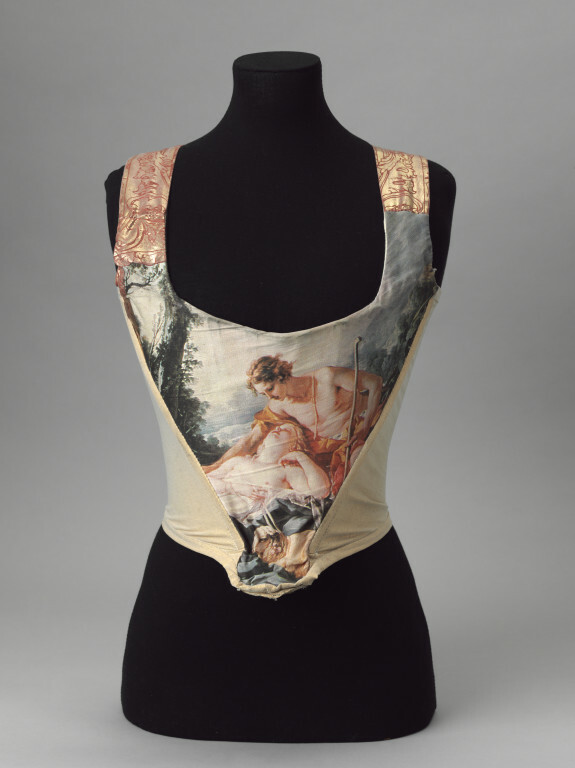 Corset of synthetic blend with a depiction of François Boucher's painting of Daphnis and Chloe printed on front panel. Shoulder straps feature classical motifs printed in gold and mauve and corset sides are of gold lycra fabric. The print on this corset is taken from Francois Boucher's painting Daphnis and Chloe (Shepherd watching a sleeping Shepherdess), inventory number P385 in the Wallace Collection. 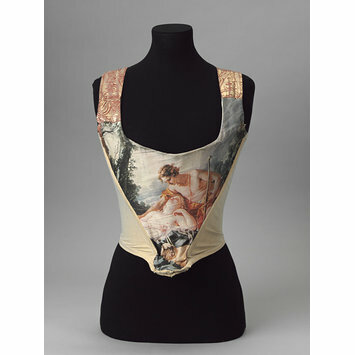 Corset, f, multi-coloured silk and polyester, Vivienne Westwood, Britain, 'Portrait' collection, s/s 1990.